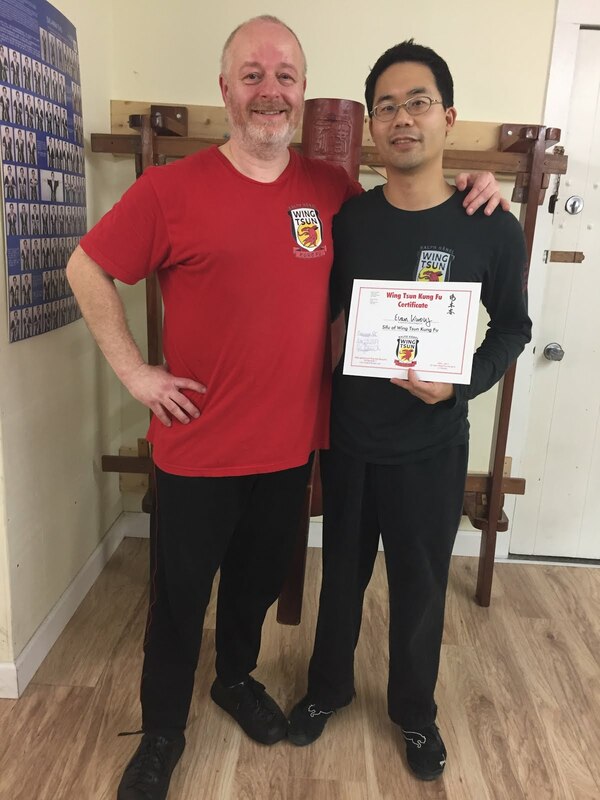 If I were to summarize the impact of Sifu Ralph’s November Calgary WingTsun seminar in one word, I think that word would have to be “freedom”. I say this as if I were constricted in some way. So, what do I mean by freedom in the context of WT training? In martial arts, functionality is needed to complement the structured forms. Don’t get me wrong, I definitely do not regret learning proper structure and forms in the past – that’s why I used the word “complement.” In my training to date, I have hopefully gained a strong foundation on which to further improve my skills. Only now, I am embarking on a different stage of training that helps add more fluid function to the techniques learned thus far. I don’t mind if this means going back to the basics, because if it works and is practical then I’m all for it! It’s hard to explain the training exercises from the seminar in detail using words. In general though, I would like to emphasize that during any type of training, you get what you put in. As decided with another fellow student, we definitely tired ourselves out! What's that shoulder doing so high up?? 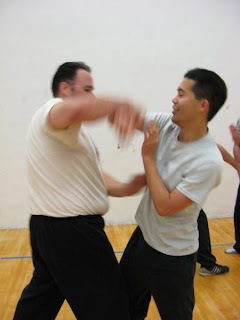 Since I have an interest in learning more about the biomechanics of WT, I do want to share some thoughts about the Siu Nim Tau (SNT) Chi Gung form. On the first day, we did move our bodies… but very very very slowly. I was an hour late on the first day, and the rest of the group was all nearly motionless during one of the early sets of the SNT Chi Gung form. Oh boy, quite the stretch! This exercise is a great way (or perhaps the way) to stretch out all the muscle fibres, tendons, sheaths, fascia, etc. The more initial stretch a muscle has to begin with, the more powerful the contraction will be. A stretched muscle has more travel to go through in terms of contraction (e.g. sliding of the myosin and actin filaments of sarcomere units). During any movement (e.g. a punch), when a muscle is stretched further as a sort of “loading tension”, more strength and power can be provided. Anyways, enough of that scientific mumbo-jumbo. In summary, stretching is gooood. It feels great (afterwards, that is), and its benefits will be reaped later on (months, years). Other than the training, there was good food at the buffet dinner and even better company! 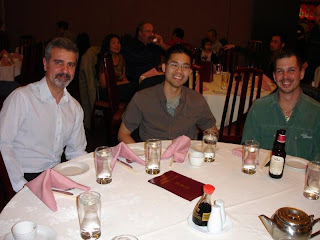 The dinner was highlighted with a classy move by Sifu Ralph in acknowledging an official Sifu status for Si-Hing German – well-deserved indeed! It was also nice to see that Si-Hing Brian made it over from Vancouver. Fit quite nicely with the group. Perhaps more people will visit next time! I’m quite lucky to have found such a motivated, friendly, and jovial group of people from Calgary WT. I do miss the Toronto downtown WT group greatly though. Besides going back to Vancouver every now and then, I hope to find some time to visit Toronto in the future. Anyhow, now that the holidays are approaching, what can I ask Santa for? How about another seminar and more group dinners!